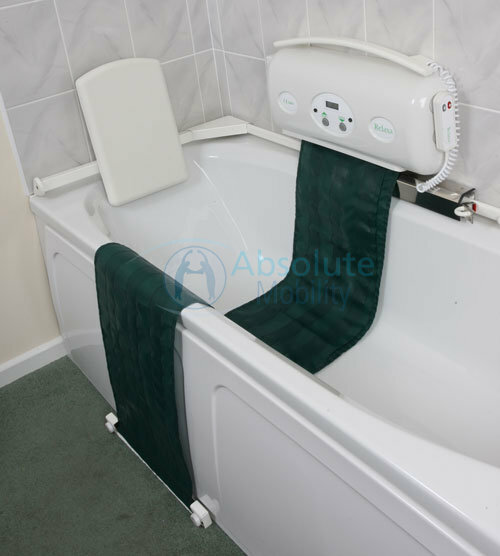 A belt-style bath lift that can be fitted in less than 3 hours. The Relaxa bath lift is simple and a great option for the whole family. With its retractable seating belt, you will not need to worry about lifting a heavy portable bath lift in and out of the bathtub each time you want to enjoy a nice long soak. The Relaxa bath lift also has a built-in digital water temperature display as well as a probe which can tell you how hot the bath is before you get in so you can be sure to always avoid scalding. The belt is made of strong polypropylene so it’s sure to last, and the battery is easy to slot in and remove for overnight recharging. You are enquiring about: The Relaxa. Please complete this form, and one of our representatives will contact you about our The Relaxa products.